October | 2014 | ride. travel. live. 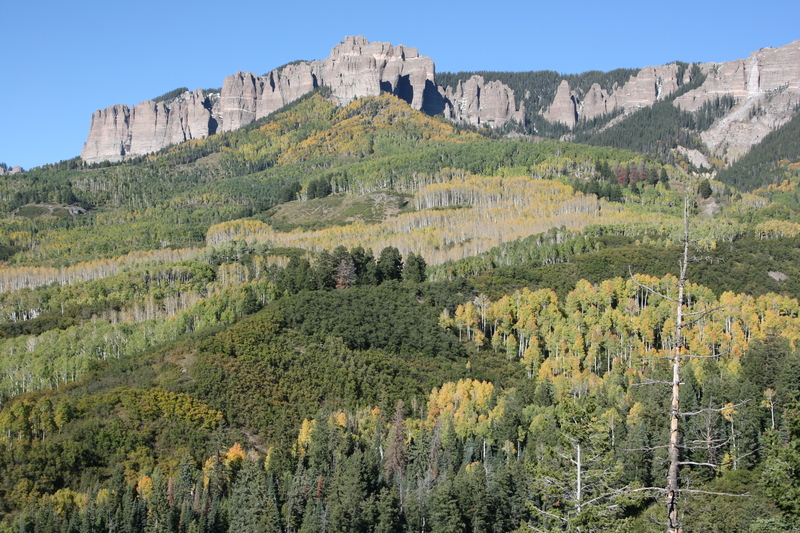 Following my loop around Grand Mesa and the Crested Butte area in late September, I returned the following weekend (October 3-5) to drive the San Juan Skyway from Durango to Ouray. I then took Owl Creek Pass towards the 50, eventually ending up in the tiny, mellow town of Lake City. 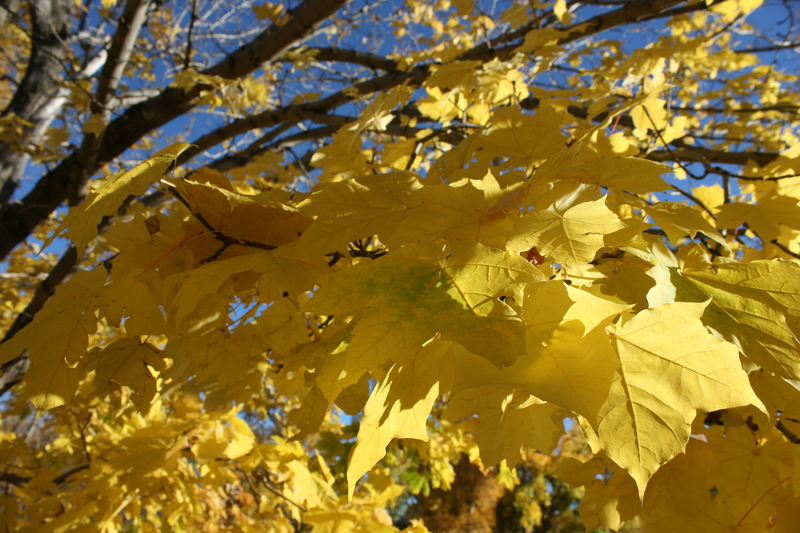 The colors were slightly past peak in the higher elevations, and it was on the dull side color-wise. I turned onto the dirt Owl Creek Pass road, which was still holding some remnants of the snow from the previous few days. The colors overall were still on the green side, although still scenic against the backdrop of spiky rocks. 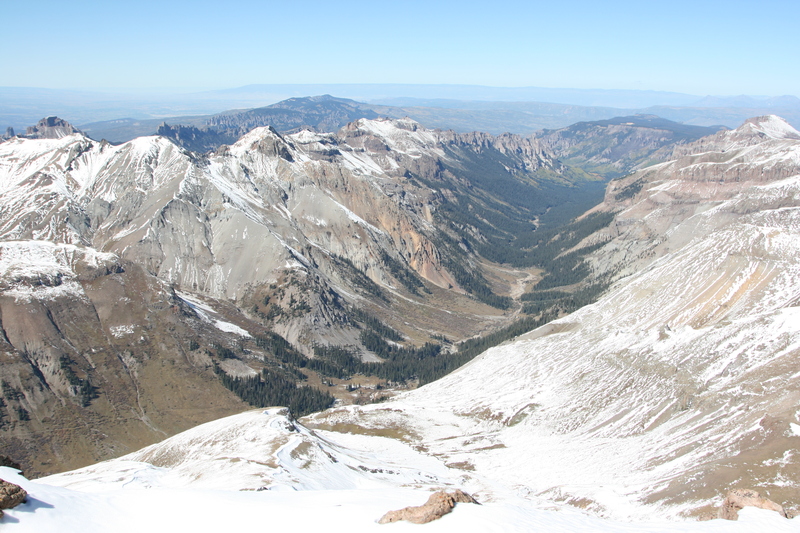 I hiked up Uncompahgre Peak (14309′, 4361 m) the following day, with a couple of nice Texans offering me a ride up the terrible 4WD road to the trailhead. I hiked with them for about 2/3 of the route, before they turned back at around 13500′, tired from the altitude. It was mostly postholing in wet snow, and I was completely soaked. But the view, and the hike were well worth it. 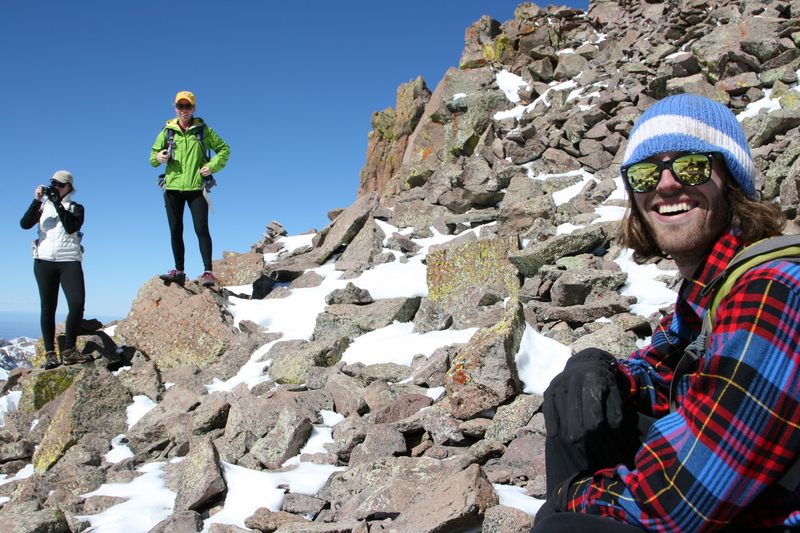 The peak is basically a massive block of rock placed like a birthday cake, with some pretty dizzying drop-offs, and a wide swath of Colorado and a bit of Utah visible from the summit. I joined up with a group of hikers who were in the area for a gathering of online members of 14ers.com, and hung out with them in the evening. As for Lake City, it’s a really small town that was about to go into hibernation for the winter. Most of the restaurants had closed, and the temperatures were starting to really drop overnight. 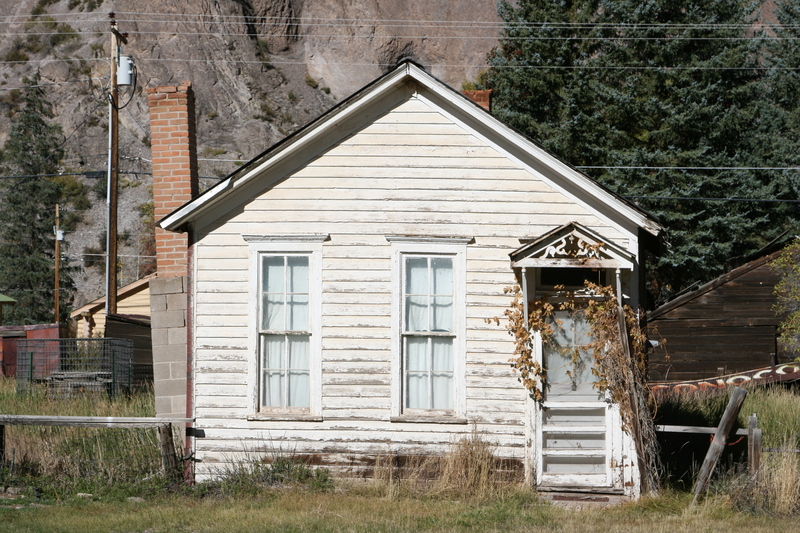 It’s the quintessential Colorado mining town, with neatly kept Victorian structures, a few bars, and clapboard houses. 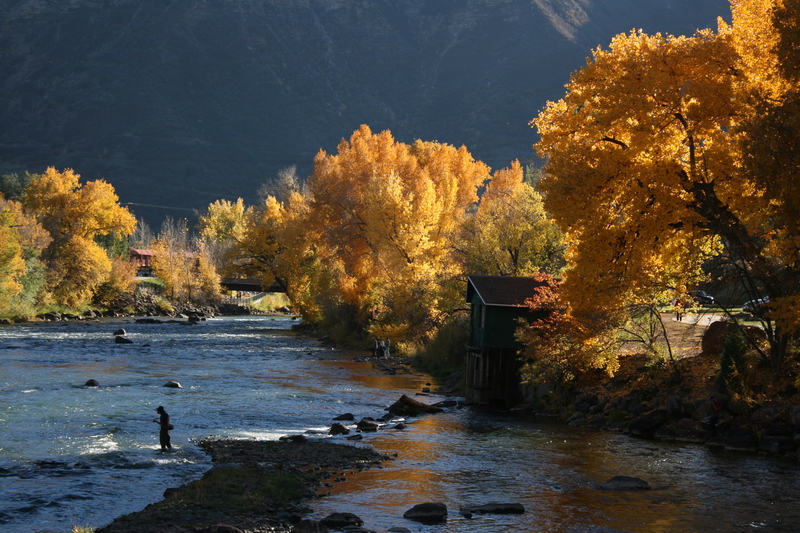 And finally, a last flourish of fall along the Animas River in Durango from the past weekend (October 24), on an unusually warm day. A true Indian summer day.